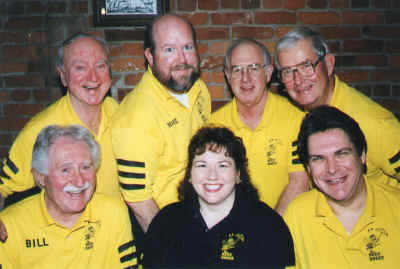 Beez’ Kneez, a 7 piece jazz band, performed in the Sacramento, CA area from 1995 to 2004. We disbanded on October 17, 2004 to pursue other interests. Donald “Scotty” Harper – Bass, vocals. Mike “Cuz” Hudson – Trombone. Norm “Doc” Gary – Clarinet, Tenor and Alto Sax, Vocals, Leader. Late one night at the 1995 Sacramento Jazz Jubilee I suddenly felt inspired to start a new band. Within weeks the band was “born”. 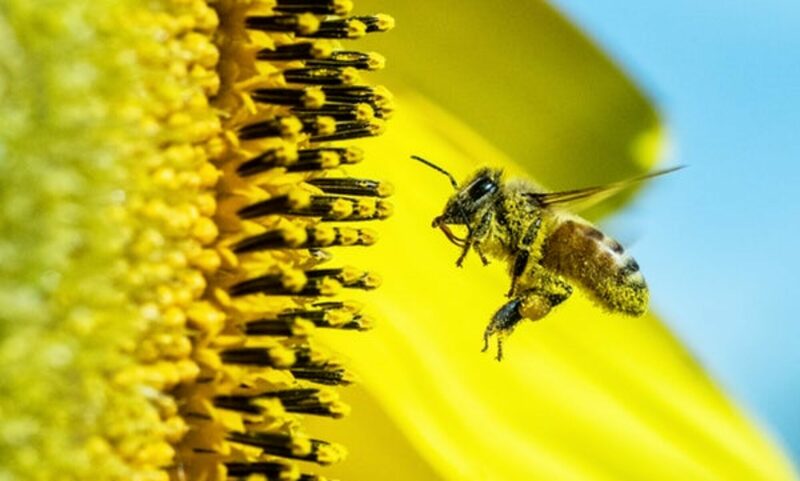 Initially it was christened “Bees Knees”, after the old expression from the 1920’s (“Isn’t that the bees knees?”) indicating great admiration and approval. Now people just say “that’s really cool”. So we thought “Beez Kneez” would be a cool name. The clincher was the discovery of a snappy rag tune (1922) called “Bees Knees”. Our first performance was at the original Shakey’s Pizza Parlour at 57th and J Streets, the most famous Dixieland jazz shrine in Sacramento, California! We opened on September 30, 1995. Shakey Johnson, one of our first fans, was there to cheer us on. The gig went fine until January 8, 1996 when a fire permanently ended the musical life of original Shakey’s. Beez’ Kneez was the last band to play there, climaxing more than 40 years of music by many bands and hundreds of musicians. Since that time Shakey has passed on too. But we’ll cherish our fond memories of Shakey and the institution he created. After the fire we performed for 7 years at three Roundtable Pizza venues in Sacramento and two years at Giovanni’s Pizzeria. Our final performance was on October 17, 2004 at the Hangtown Jazz Festival in Placerville, California. We disbanded when the band was at the peak of its popularity in order to pursue other musical adventures and activities. It was a fun 9 years!